Many people want to quit their jobs, fire their bosses, and pursue their entrepreneurial dreams. However, most entrepreneurs don’t take into cognizance the financial requirements that a business will demand from its founder. Hence, many exciting business ventures tend to flounder and die before they’ve even had a chance to survive. In 2016, SBA statistics show that only 78% of businesses survive the first year and half of the surviving ones don’t make it through the fifth year. This article provides entrepreneurs with actionable insight that could help them start and fund their business with minimal headaches. A smart way to raise startup funding for your business is to make some sale before you launch. Crowdfunding platforms give you an opportunity to pitch your idea to the potential users of your product/service. If your idea resonates with a large enough audience, you’ll find people willing to give you money in exchange for some of the first products or memorabilia from your firm. If you are unable to get some money, you’ll have gotten ‘free’ feedback on how the market is likely to perceive and receive your product even before you waste money on an MVP or beta testing. It sounds strange and unconventional to start trying to make sales when you are yet to start a business. However, selling the product first, before figuring out how to make it and deliver it to the customer could be one of the biggest boosts that will ensure your survival. The fact that some people have already trusted you with their money will make you understand that failure is not an option. Secondly, you’ll have learnt valuable lessons about making sales and you’ll find it much easier to make sales when you eventually have products. Unless you have deep pockets from savings, investments, or vested options; quitting your regular job might not be the best strategy when you are about to start a new business. The earnings from your regular job could pay your bills so that you concentrate on your new business without worrying about money. You can also leverage the fact that you have another job to take the occasional personal loan when you are hit with a cash crunch in the early stages of your startup. All you need to do is to use a personal loan calculator to find out how much you’ll need to pay each month when you factor in the term of the loan and interest rates. If your income can accommodate the monthly payments for the loan and your other expenses, you won’t have to worry about running out of cash in the early stages of your startup. You may want to consider working your day job from 8AM until 4PM, take a break until 6PM, then head into the ‘garage’ to work on new firm from 6PM until 1AM. It could be tough and tiring, but you’ll won’t be desperate for funding in the early stages and you’ll be able to build valuable management skills. Creating a startup, buying a franchise, or starting a business from scratch will cost you a great deal of money. If you are a big spender and you don’t have deep pockets, it would be hard to maintain your usual standard of living and build and business from scratch at the same time. You should be ready to start living frugally in order to increase the savings you have each month. Most startup founders often need to bail out their firms with their personal fortunes. 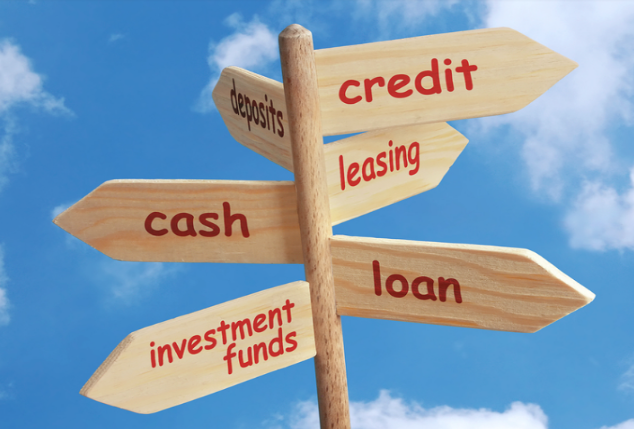 Your new business will eventually experience a cash crunch and the worst cash crunch tends to happen before you have built up a strong enough credit history to seek business loans. However, if the founder is financially secure; it would be much easier to keep the company afloat until you get back to positive cash flow or you raise funding.